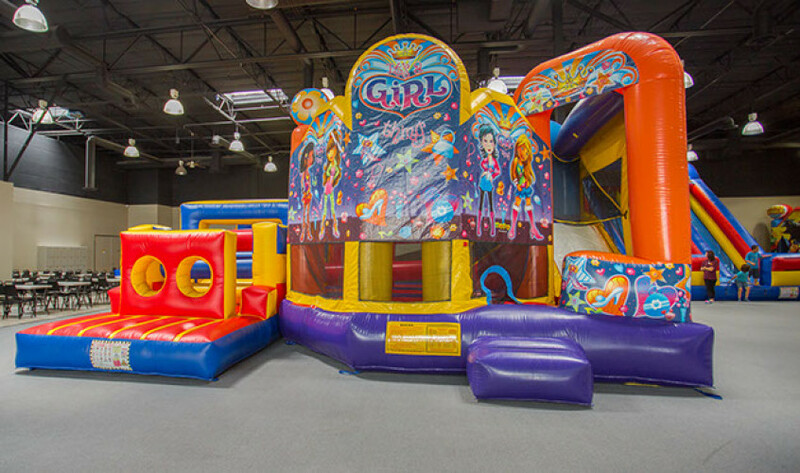 17,000 square feet of fun—yup, that's Bouncy World. Putting shoes aside, both kids and adults get the chance to roam about this inflatable area. They bounce their ways across numerous obstacles and skid down the slides. When hungry, they may reach for the Bouncy World's snack bar as it holds energy-fueling pizzas, fries, and mozzarella sticks that can be washed down with smoothies and fountain drinks. But the fun doesn't stop with all that's inflatable as the place also allows its visitors to indulge in challenging video games.